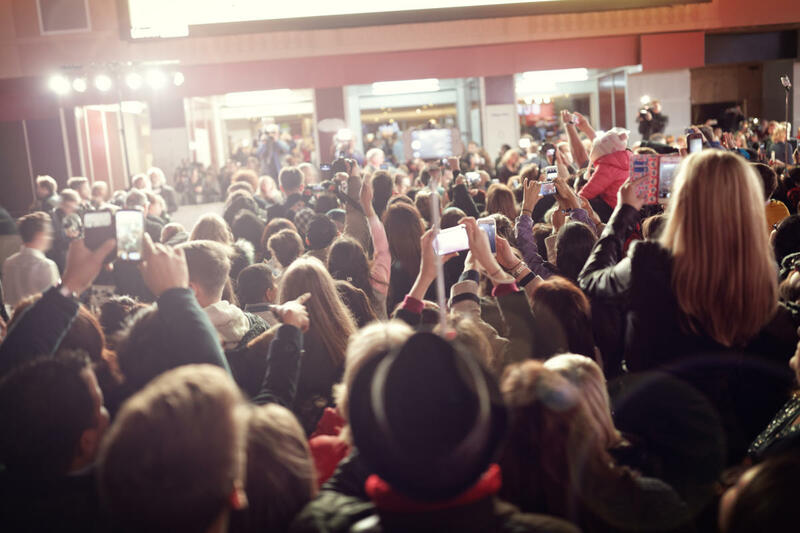 Last year, our community welcomed the first ever Chandler International Film Festival and the event returns to Chandler, Arizona the second weekend of January. The event is bigger and better with additional film screenings, a high presence of local filmmakers, filmmaking workshops and great fun all weekend long for movie aficionados. Save the date and make your plans to attend this year&apos;s festival - you won&apos;t want to miss it! Screening over 180 films. At this year’s annual event, the Chandler International Film Festival will screen over 180 films created from across the globe. These 180+ films include feature films, short films, documentary films, music videos, and so much more! We have 20 different categories and genres of films so there’s something for everyone! Over 200 Filmmakers to attend. Local and international filmmakers whose films have been chosen to screen at the festival will travel to Chandler to promote their film and take part in the 4-day star-studded event. Not only is this a great event for filmmakers promote their films, but it’s also an excellent place to network with other people in the film industry. As many international filmmakers attend, this is the perfect melting pot to learn about the film industry in different locations around the world. Arizona’s first Film Market. This year’s festival will mark Arizona’s very first Film Market ever. The International Motion Picture Association has teamed up with the Chandler International Film Festival to bring filmmakers together in one place to meet with distributors, financiers, sales managers, networks, and other industry professionals in order to sell their film. This is an exciting opportunity for anyone looking to meet with industry professionals! Filmmaking Workshops. Taught by industry legend Dov Simens, who has taught big stars like Quentin Tarantino, Queen Latifah, and Will Smith, these workshops will focus on every aspect of the filmmaking process from script inception, to budgeting, to production, to distribution. Dov can teach you how to make your script better, how to make production run smoothly, and how to make your film sellable. These workshops are not for big filmmakers only. Local Arizona filmmakers are encouraged to attend to learn from one of the best! Fun For Locals. If you’re looking for something fun to do on a long weekend, come to the festival! This isn’t just a place for filmmakers. This 4-day event includes red carpets, celebrities, world premieres of films, and after parties. If you love movies and are fully invested in pop culture, the festival is the place for you! Who knows? You might meet the next big star and be able to say you knew them before they were big! Tickets may be booked on the event website directly which features additional information, news and updates about the film festival. For those traveling to Chandler, special festival rates are available at the Crowne Plaza Phoenix Chandler Golf Resort in Downtown Chandler and subject to availability.